Shell There are 3 products. 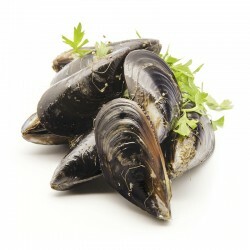 Chili Blue Mussels meat is more chewy than other mussels, tender and smooth, with salty sea water flavor. As a Sashimi-grade from Japan, using asepsis process and freezing technology immediately after catching from the sea. It completely maintain the flavor and freshness. 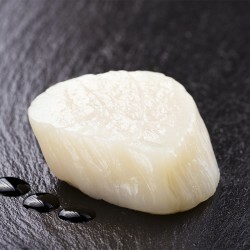 Thick meat scallops taste chewy, fresh and juicy. Oysters from Hiroshima in Japan is a selection of excellent oysters and they use advanced rapid cold storage technology to keep oysters fresh and delicious. Its flesh is thick and sweet. Hiroshima has a long history of oysters farming technology. 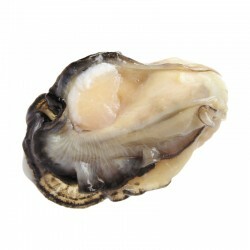 Plump oyster meat, taste sweet, fresh and creamy texture is good for pan-fried, fried, grilled or in hot pot.